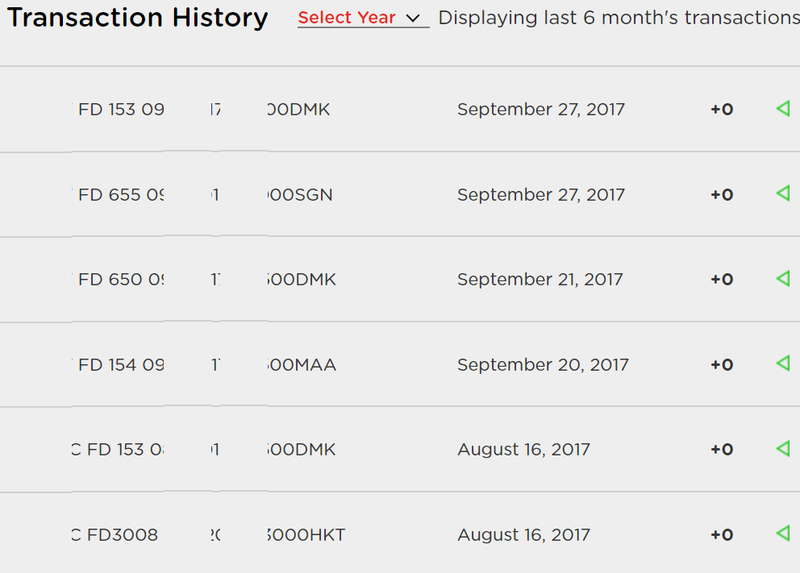 Air Asia has rolled out a new loyalty program, called the Freedom Flyer Program in which AirAsia customers are categorized under 4 buckets- Red (default/entry level category), Gold, Platinum and Black. According to the airline, this is a more improved version of earlier existing loyalty program. The qualifier is purely the number of flights taken- more the flights you take more closer you’re to next category and different category gets you different quantum of loyalty points on your spends, which can be redeemed later for any free flights or other things. The membership lasts entire lifetime (same in all airlines), points earned have a validity of about 3 years and the category is revised every year (the number of flights required to quality are every year, not all time). The scheme looked great. Being a regular Air Asia flyer, I hoped to gain something extra from this program and make my future flights more pleasurable/beneficial. From the number of flights I have taken so far, I already qualify at Platinum level, just one level short of top most “Black” category. 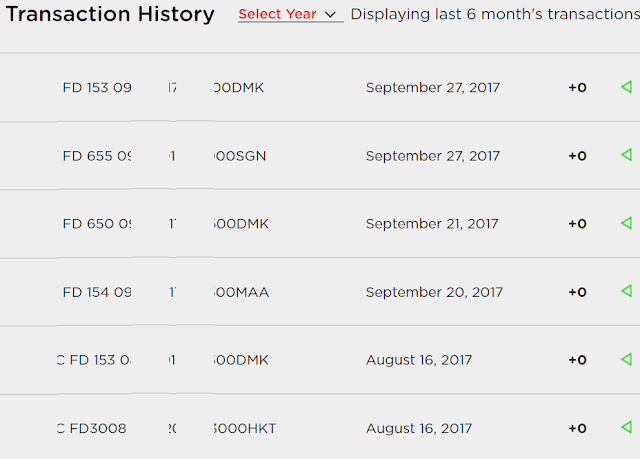 (I’ve traveled to Indonesia, Philippines, Japan, Thailand and Vietnam in past 12 months with Air Asia, total of 26 flights so far in an year). So did the gold/platinum status help me much? So far, NO. Read my analysis of this new Air Asia Freedom flyer loyalty program, to understand the good, bad and ugly part of it. More flights you take, higher will be your category. You can feel good for yourself that you’re Gold Customer or Platinum Customer. More points per spending: Guests in Gold/Platinum/Black category earn more points compared to lower category members, for the same amount spent. Besides the prospect of earning more points (and subsequently you can redeem better), being a Gold/Platinum/Black member means nothing. In most airlines, let us say Singapore Airlines, if you’ve Krisflyer Gold card you get lounge access, priority boarding, higher chance of upgrade to business class etc (It is a different story that you will need truck loads of money to get to Gold level with SQ). But with AirAsia, being a premium member doesn’t entitle you to any privilege what so ever. No priority, no upgrade to hot seat, no nothing. You still have to pay for every single thing. One or two benefits that doesn't cost the airline much- like say Priority boarding or hot seat upgrade etc could have significantly boosted customer experience for those who hold higher category memberships like Platinum/Black. No physical card. Almost all airlines send a physical loyalty card by email. Even for basic membership level, as soon as they sign up. But with Air Asia there’s no option to give your address and request that your loyalty card be sent by post. There’s only a soft copy option, which you can probably print at your own expense. Also note that membership points are shown on the card- which is NOT a practice with other airlines as points keep changing. AirAsia has only soft copy display and no intention of printing, so they don’t have to worry about changing numbers. The most disappointing aspect of this new loyalty membership scheme seems to be discontinuation of loyalty points for tickets booked during Promo sale. 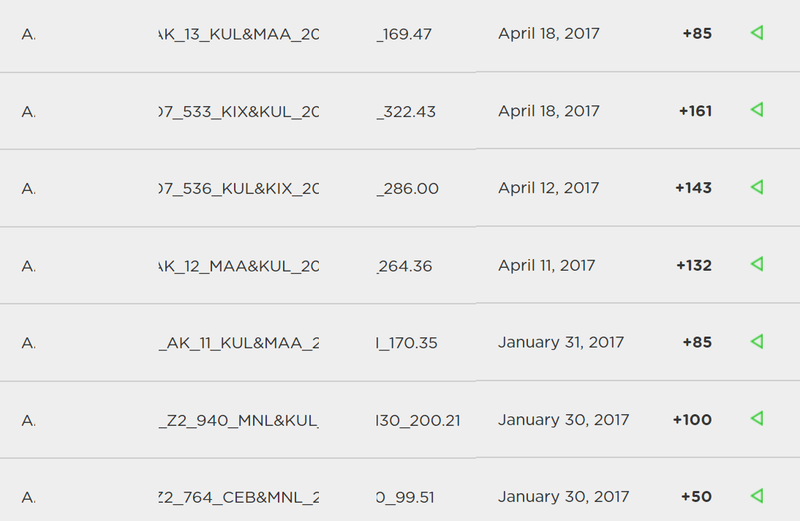 Earlier this year I traveled to Philippines and Japan with Air Asia, both tickets booked an year earlier during promo sales. I did get some points (Very less points- can’t even buy a meal with those points- that is separate point) for these ultra low fare promo seats I had booked. But after the roll-out of their new Red/Gold/Platinum/Black membership program, AirAsia has decided to offer ZERO loyalty points for tickets booked during a sale (Promo fares). 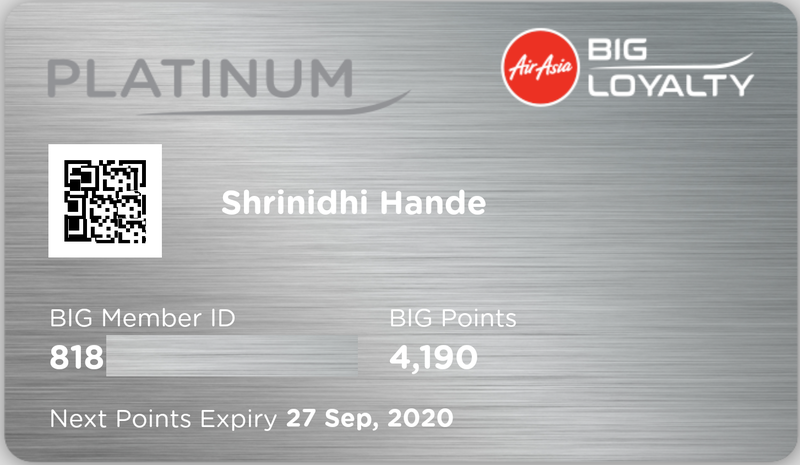 What this means is even if I am eligible for 5.5X loyalty points as a platinum member, I will get total of ZERO points since the promo fares on which I booked my cheap tickets are not entitled for any loyalty points. If you notice below, I had accrued about 4000+ points so far before this new Freedom Loyalty Program came into effect. After that, I have taken 8 flights, but got zero points, as all the flights were booked on Promo fares. Didn't get any point for pre-booked meals spending also. 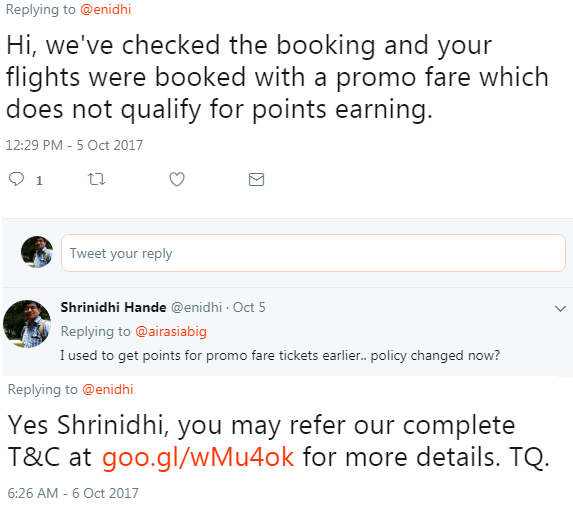 If not more points (like 3X, 5X), whatever points were on offer before this new program could have been retained for promo fares. So while rolling out the new loyalty scheme, AirAsia has silently withdrawn an existing benefit (of getting loyalty points even on Promo fare tickets). This has been confirmed with above screenshot and also by couple of tweets from AirAsia Big’s official account. However AirAsia's press release/media reports on the launch of this new Freedom flyer program never mentioned this fact that promo fares get zero points. There's very little benefit from my Platinum/Black membership if I get no extra benefits (like priority check in/lounge access/upgrade) and no loyalty points (as I usually book only on Promo fares). 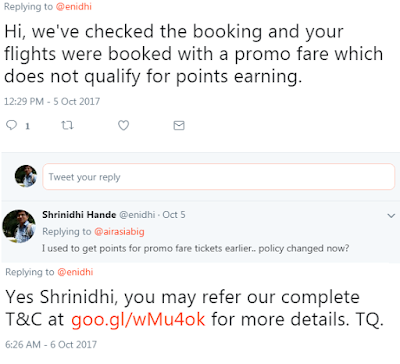 Now I get points only if I book regular tickets, which are usually priced more than promo fares. I won’t say the whole scheme is stupid/useless because something is better than nothing- most budget airlines do not even have proper loyalty programs. Hopefully AirAsia will consider giving some practical benefits to Platinum/Black customers. I am not angry/upset either. As long as they can take me to new destinations at super cheap fares, I will be happy to patron AirAsia, irrespective of the loyalty program/status. What do you think of this new loyalty program? Looks exciting? 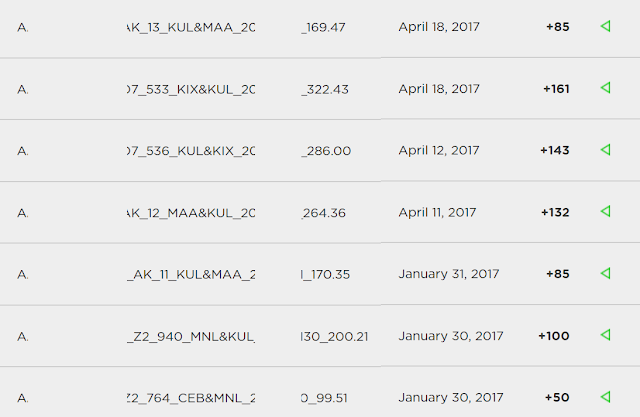 I couldn't understand why my recent AirAsia flights resulted in 0 points. But recently I noticed I have had several priority boarding and seats at the front of the plane, but just on 2 flights. I agree, I am not really dissuaded, the "BIG" points were not useful except in promos if you had over 500.